1. Okay, so the pineapple eth0 is sort of a WAN, and it goes looking for a connection, but that connection has to be on the 172.16.42.0/24, which is confusing because eth0 is set to 172.16.42.1, which is typically a gateway, BUT IT’S NOT really here. 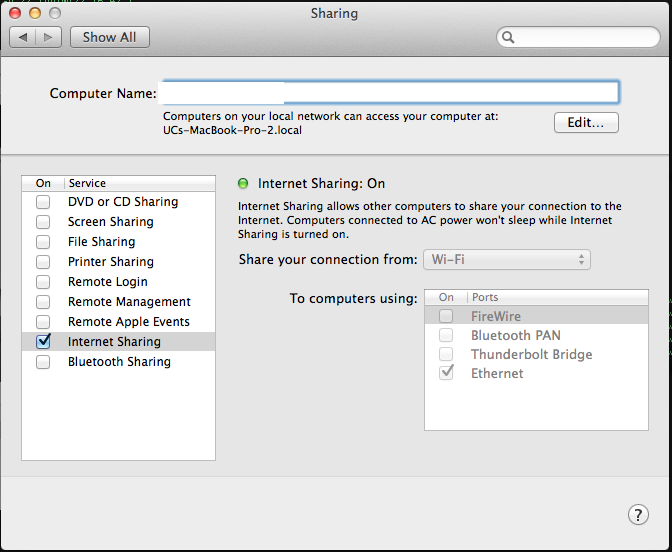 So you have to set up your Mac as a non-.1 gateway, then share your Mac Wi-Fi connection with your Mac ethernet port and then do your upgrades…which is friggin’ stupid! 2. 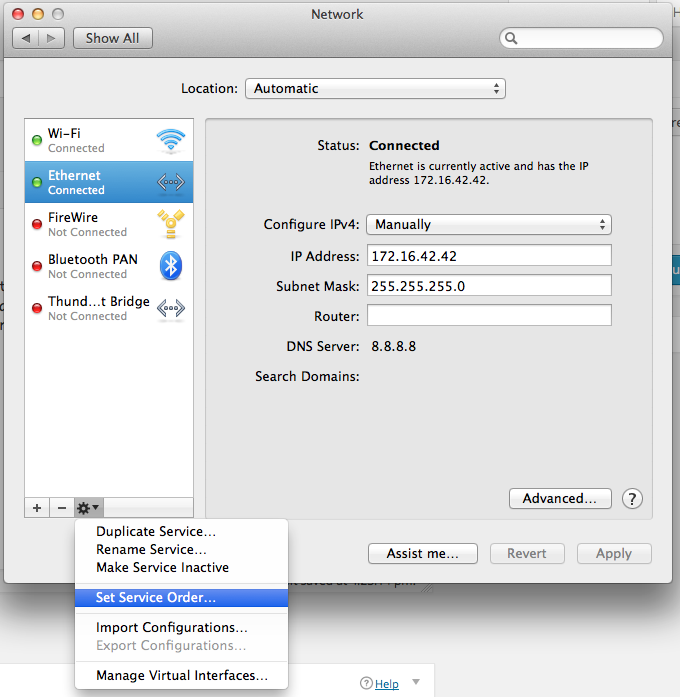 Hook your Mac up to its normal wifi connection. 3. 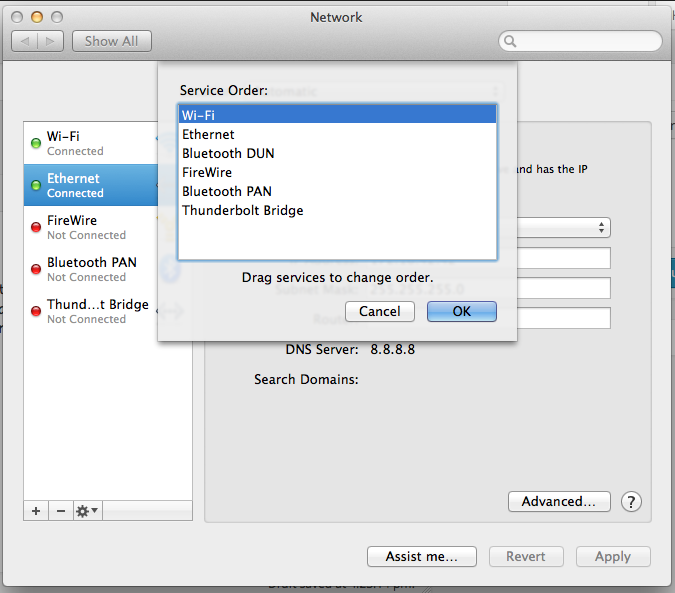 Hook up your Mac ethernet to an unmanaged switch. 4. Hook up your Pineapple ethernet to another port on the unmanaged switch. if that worked, it means your pineapple is sharing your Mac’s connection and can get to the Internet to get updates. 10. Now login to the control panel on the Pineapple by clicking: http://172.16.42.1:1471 and using the root password you want to set up. 11. Oddly enough, the updates you want are under the: Pineapple Bar -> Pineapple Bar: available. Here you should load stuff up, and also do some updates. After you add stuff, when you go back to the homepage the different hacks will show up there. Also, if you load up cli hacks, you can login as root via ssh and use those as you learn how.